What do an average looking water fountain, a giant hole in the ground, and a truck full of what used to be poop all have in common? 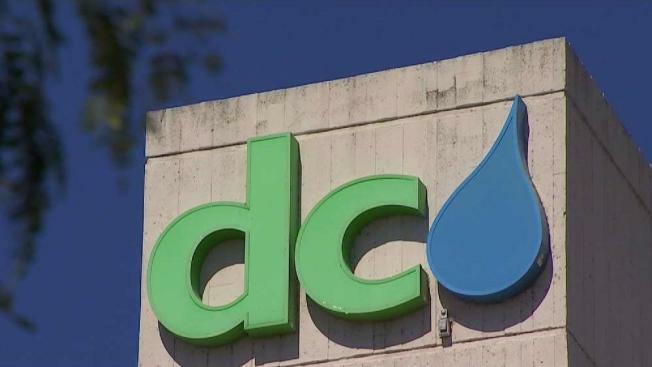 DC Water is hoping they'll put more money in your pocket. "What we are doing at DC Water is very aggressive," touts outgoing General Manager George Hawkins. DC Water is trying to find ways to lower customers' bills by getting into the invention business. A team of researchers find ways to solve problems and create new ideas to test and use. The utility is now taking the extra step to try to market and sell those technologies and services to other water systems, and eventually private customers. "It hasn't generated much revenue yet, but the potential future is pretty significant and very unusual for a public agency," said Hawkins. One of the products DC Water is now selling is something it would have to get rid of anyway, by the truckload. The utility developed a steam treatment system to turn human waste solids into a high-quality soil called Bloom. "People don't stop going to the bathroom- not even on holidays, even on the weekends," said Innovation Program Manager Saul Kinter. With more than 400 tons per day to dispose of, Kinter says it was innovative for DC Water to find a way to make it into something buyers will pay for. And the process to create it involves a technological advancement that was the first of its kind in North America. DC Water already holds about a dozen patents and has launched a non-profit called Blue Drop to help market its products and services. "One of our new products for example is an element that you can install with a drinking fountain that it filters out lead and other things you don't want in the drinking water, in a school for example," said Hawkins. DC Water is already testing out a prototype in its own headquarters building. It's got a sensor inside which can transmit the water's characteristics to your phone, so you know if the filter is working and when to replace it. "So we're trying to invent a product that could in five years be in every drinking water fountain. That's revenue that comes back to DC Water to our ratepayers," said Hawkins. The utility is also hoping to eventually sell access to its sewer system, so buildings can reroute air flow to use the sewer's natural heat and lower heating and cooling costs. Crews are already installing a test system during a renovation of the American Geophysical Union building on Florida Avenue in Northwest. It's part of the design to create the first net zero energy building in the District. Hawkins says DC Water will also install a test system at its new headquarters building under construction near Nationals Park. He hopes other commercial customers will be interested in buying access to the sewer system to utilize that technology. "We generate revenue from that, that's coming back to DC Water to defray ratepayer costs," said Hawkins. He says most public agencies develop ideas just to use for themselves. But once they're tested in the real-world environment at DC Water, marketing and selling those ideas to others just makes sense- and will hopefully make some dollars too.